Holidays are Happenin' at the Allen Premium Outlets! Most people think the Dallas-Fort Worth area is all about the happenings downtown when it comes to food, shopping and fun. But just 20 minutes away and north of town is the wonderful hidden gem of Allen, Texas! 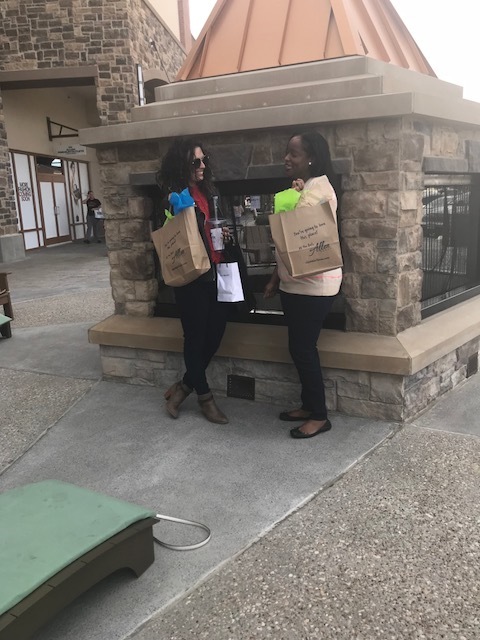 One of the jewels in the Allen,TX crown is the Allen Premium Outlets, an incredible outdoor shopping mall where you can find just about anything for yourself and everyone you know. 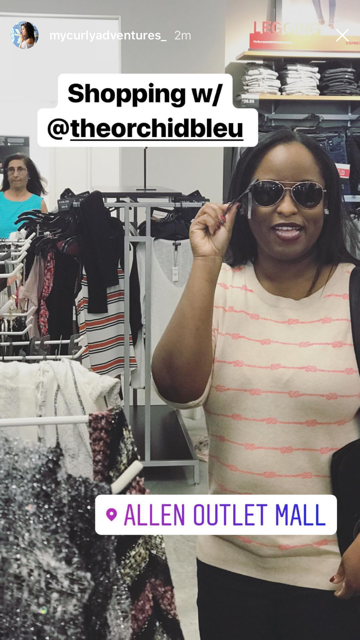 I got to spend a Saturday checking things out and the mall is full of great shopping spots, great eats and activities for the whole family. My day started with an incredible lunch at Italia Express, one of the longest standing merchants at the Outlet. They have really good pizza, calzones and spaghetti. After a great lunch, I had to walk off all of that good food! As you can see, I'm having a lot of fun! The Outlet has so many amazing stores such as Tory Burch, Kate Spade (my number 1 fave! ), Polo Ralph Lauren, Adidas, Banana Republic and so many more. What's also nice is there's always a sale going on! Every store has great deals for the holidays and that's big in my book when it comes to shopping for my family and friends. The newest additions to the Outlet include Express, Fossil and Francesca's Collections and they have really cool merchandise to check out. There's a lot to see and do here, so don't feel rushed-the Outlet has special holiday hours so you can shop till you drop this holiday season. 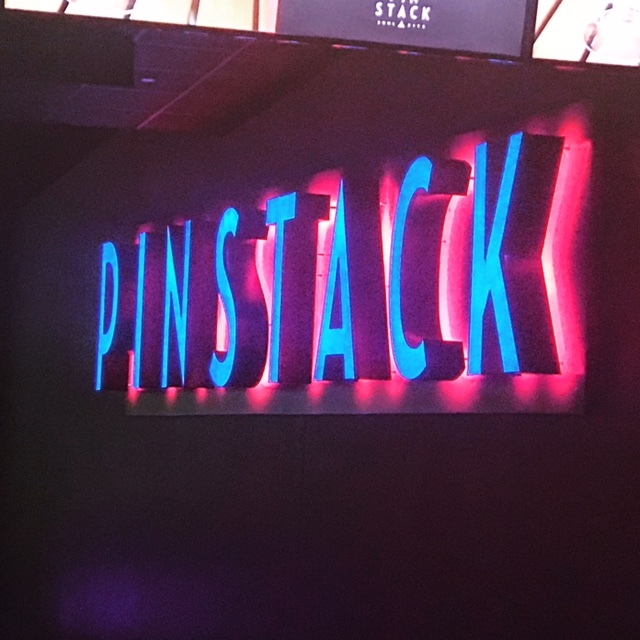 After a wonderful day at the Outlets, I spent some time at Pinstack which just opened in Allen a few months ago. This place is great and I can't wait to get back and have some fun. Pinstack is the perfect venue for bowling, birthday parties, and group activities. A premier destination for kids and adults. And of course I had to experience Pinstack VIP Style! Me and my guests enjoyed our own private area complete with a personal bowling lane, incredible bites and great drinks. Now you guys know that I'm a foodie so let's talk about the yummy in these photos! Pinstack is not your average hot dog and nacho type bowling spot. They are taking modern American cuisine up a notch with yummy choices like Macaroni and Cheese Pops, Fish Tacos, Waygu Beef Sliders, Chicken & Waffles, and a delectable Artisan Meat and Cheese Board. The seasonal drink menu is rather impressive with options like The Holiday Mule and the Apple Cider Margarita. It was a great night of good food and good company and I highly recommend Pinstack for your next outing. 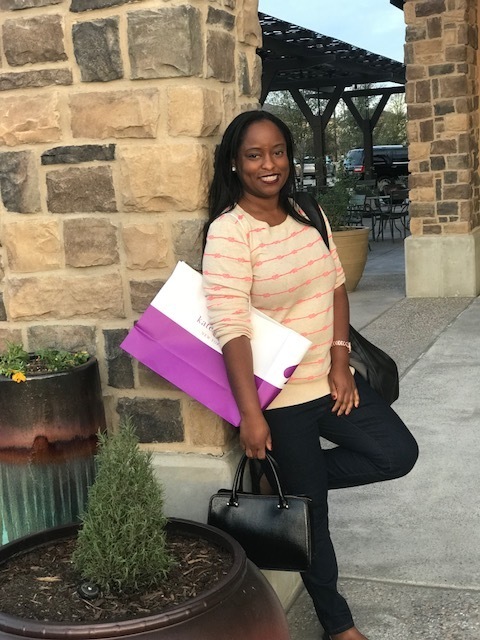 HUGE thank you to the team at the Allen Convention and Visitors Bureau and The Allen Premium Outlets for my holiday adventure. Check out the Outlets for your holiday shopping needs, Christmas will be here before you know it! #My Life: As a Lifestyle Ambassador!